I think your doll, like Chou Chou, would be happy for new Christmas clothes too. 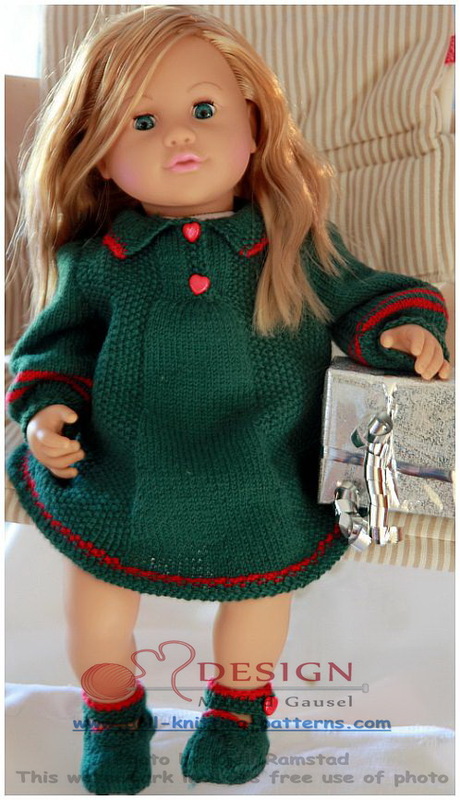 May be now is the right time to find you knitting needles to get your doll ready for Xmas too. This knitting pattern is one of the popular doll knitting patterns in Målfrid's first book. Now the fourth edition is sold out. As soon as Målfrid and I get the knitting patterns translated, all the patterns in this book will be available at this website. 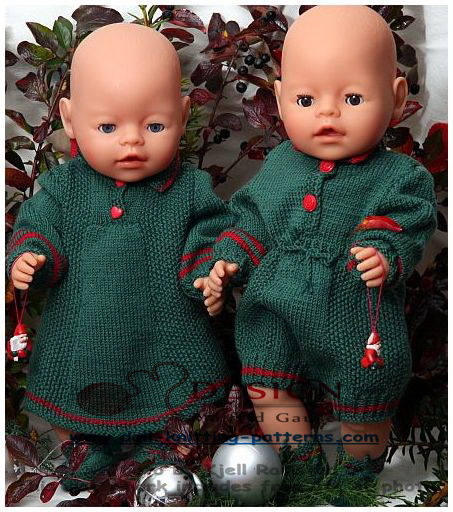 All children who own a doll just love new clothes for their doll, especially clothes for Christmas. Knitting is fun, especially cute little doll outfits. Everyone who has a minimum of knitting skill can make it.